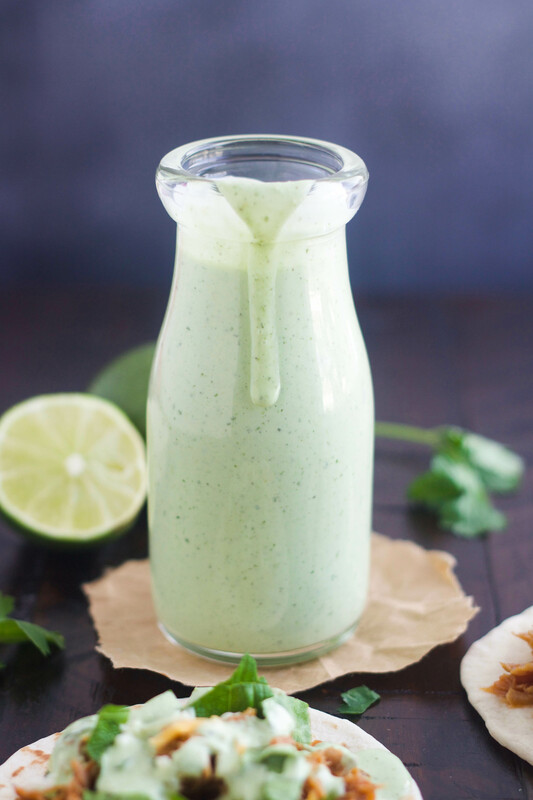 This Cafe Rio Creamy Tomatillo Dressing is made with fresh cilantro, jalapeno and tomatillos. It’s delicious on tacos, salads, burritos, nachos, etc. You’ll never want to be without it in your fridge. 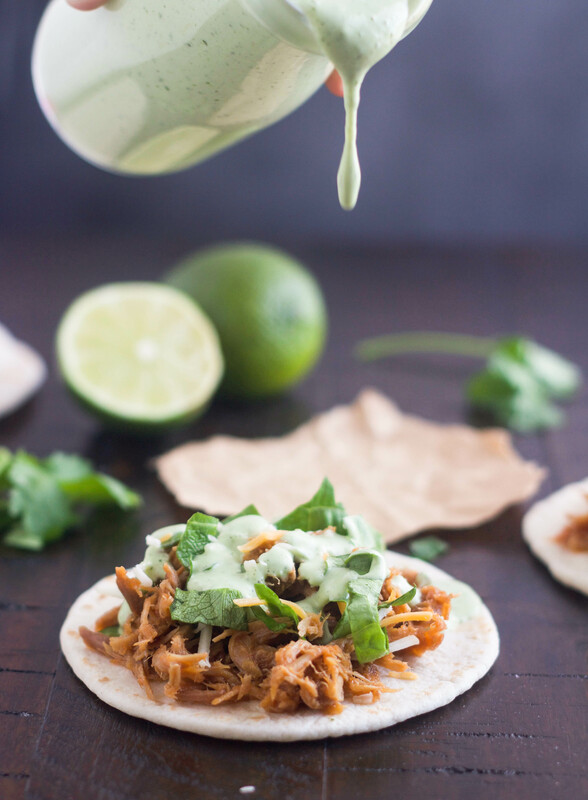 After years of making this Cafe Rio Tomatillo Dressing and only having this recipe on my site in this post for smothered burritos, I am finally getting around to giving this delicious dressing its own post. It’s definitely worthy of being in the spotlight on its own, so I’m not sure why it’s taken me so long. Maybe it’s because I know you can find this recipe all over the internet, but I still have friends text me all the time asking me which post it was I included this recipe in. So here you go my friends, now it will be so much easier to find on my site. For those not familiar with Cafe Rio, it’s a Mexican restaurant that has a bit of a cult following. It started in Utah and can now be found in several states. If you don’t have one where you live and/or have never eaten at one, you need to put it on your bucket list. I make this dressing all the time. It’s super simple to make. You just throw all of the ingredients in the blender, turn it on until the dressing is nice and smooth, then let the dressing chill for in the fridge for a bit. We go through this stuff like it’s chocolate, I mean water. We love it on any kind of tacos, enchiladas, burritos. Of course, it’s a must make whenever I make my copcat Cafe Rio Pork or Chicken. We also LOVE to pour some in a bowl and dip tortilla chips in it. Seriously, it makes the best chip dip ever. Most copycat recipes for this call for 1 cup of buttermilk, but I think it ends up getting a little too runny after being in the fridge for a couple days, so I like using 3/4 cup of buttermilk. If you want this to have kick, leave the seeds and membrane in the jalapeno. I buy the large container of Hidden Valley Ranch Mix at Costco, so if you have that and not the packets, it's 3 tablespoons of the dry mix. I just made this last night and we dipped everything in it. I’ll try it with less buttermilk next time!